Vandag is aangekondig dat Suid-Afrika se werkloosheid syfer staan op 27% of 36% – afhangend van hoe jy dit definieer. Een uit elke drie. Hierdie is nou. As ons dink dit gaan vinnig beter word, stel die techno-profete mens nie gerus nie, inteendeel…..
Toe ‘n spreker so ‘n rukkie terug op The Money Show aangedui het dat ons ons kinders in heeltemal die verkeerde rigtings oplei het my ore gespits. Volgens hom gaan die meeste poste in die voorsienbare toekoms oorbodig raak. Toe hy egter die rede gee het ek ontspan – dit klink ‘n bietjie “far fetched” het ek gedink. Hy sê robotte gaan ons werk oorneem. Hy sê ook dit is moontlik dat rekenaars die wet beter gaan kan interpreteer as die mees ervare regter! Kan dit waar wees? Die spreker dui aan ons kinders moet hulleself bekwaam in ‘n Informasie Tegnologie rigting. Daarna by ‘n “Smart Grid” byeenkoms by Eskom se konferensie sentrum vroeër vanjaar kom dieselfde gedagte deur. Die gedagte van dramatiese veranderinge wat ons in die gesig staar, die internet van dinge, die einde van privaatheid, besigheidsmodelle wat op hulle kop gekeer gaan word en die idee van “disruptive technologies”. Vandag gesels Aki Anastasio met Redy Thlabi op 702 en jou wrintie kom dieselfde gedagte weer op. Hy speel ‘n paar opnames van ‘n onlangse konferensie en wil jy nou meer: Weer sê hulle – pasop, hier kom die robotte! Waar robotte in die verlede fisiese werk oorgeneem het gaan hulle nou begin intelektuele take ook oorneem. Aki voorspel dat daar ‘n hengse werkloosheidsgolf oor die wêreld gaan spoel en dat die gros van die gemeenskap waarskynlik in die toekoms op toegewings (“grants”) sal moet lewe. Udo lewer verslag van ‘n Singularity University byeenkoms en sy kommentaar volg hieronder. Dit is ‘n skrikmakertjie van ‘n waarskynlike toekoms, alhoewel ek steeds voel dat van die idees miskien nog ‘n bietjie vêr gaan haal is. Maar ons sal moet begin dink aan die komende omwenteling. I just went to the Singularity University summit. Here are the key points I gathered. 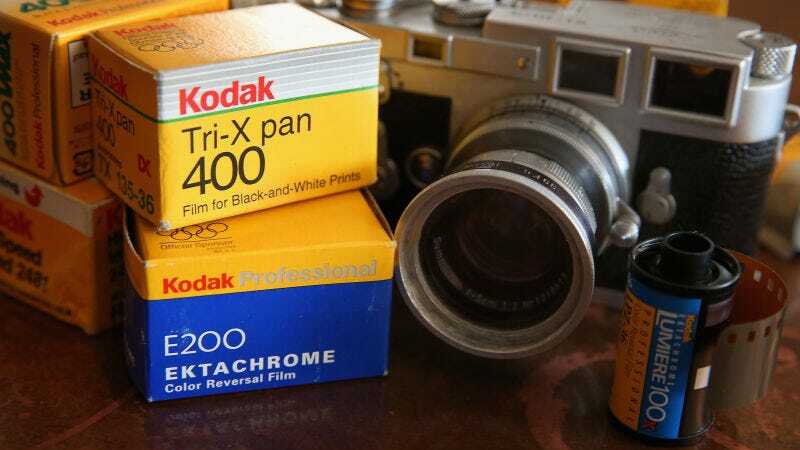 Rise and Fall: In 1998, Kodak had 170,000 employees and sold 85% of all photo paper worldwide. Within just a few years, their business model disappeared and they were bankrupt. What happened to Kodak will happen in a lot of industries in the next 10 years – and most people don’t see it coming. Did you think in 1998 that 3 years later you would never take pictures on paper film again? Yet digital cameras were invented in 1975. The first ones only had 10,000 pixels, but followed Moore’s law. So as with all exponential technologies, it was a disappointment for a long time, before it became superior and mainstream in only a few short years. This will now happen with Artificial Intelligence, health, self-driving and electric cars, education, 3D printing, agriculture and jobs. Welcome to the 4th Industrial Revolution. Welcome to the Exponential Age. Software and operating platforms will disrupt most traditional industries in the next 5-10 years. Uber is just a software tool. They don’t own any cars, but they are now the biggest taxi company in the world. Airbnb is the biggest hotel company in the world, although they don’t own any properties. Artificial Intelligence: Computers become exponentially better in understanding the world. This year, a computer beat the best Go player in the world, 10 years earlier than expected. In the US, young lawyers already don’t get jobs. Because of IBM Watson, you can get legal advice, (so far for more or less basic stuff), within seconds. With 90% accuracy, compared with 70% accuracy when done by humans. So if you are studying law, stop immediately. There will be 90% fewer generalist lawyers in the future; only specialists will be needed. ‘Watson’ already helps nurses diagnose cancer, four times more accurately than doctors. Facebook now has pattern recognition software that can recognize faces better than humans. By 2030, computers will have become ‘more intelligent’ than humans. 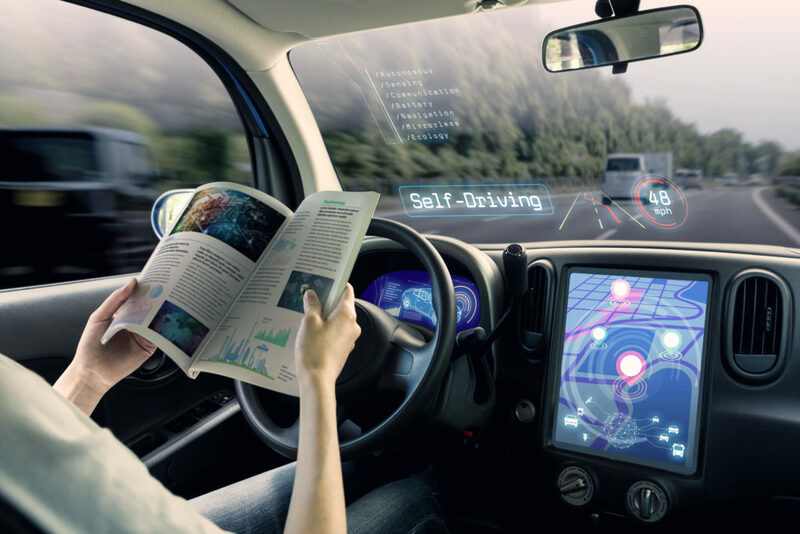 Cars: In 2018 the first self driving cars will be offered to the public. Around 2020, the complete industry will start to be disrupted. You don’t want to own a car anymore. You will call a car on your phone; it will show up at your location and drive you to your destination. You will not need to park it, you only pay for the driven distance and you can be productive whilst driving. Our kids will never get a driver’s licence and will never own a car. It will change the cities, because we will need 90-95% fewer cars for our future needs. We can transform former parking spaces into parks. At present,1.2 million people die each year in car accidents worldwide. We now have one accident every 100,000 kms. With autonomous driving, that will drop to one accident in 10 million km. That will save a million lives each year. Electric cars will become mainstream around and after 2020. Cities will be cleaner and much less noisy because all cars will run on electricity, which will become much cheaper. Most traditional car companies may become bankrupt by tacking the evolutionary approach and just building better cars; while tech companies (Tesla, Apple, Google) will take the revolutionary approach and build a computer on wheels. I spoke to a lot of engineers from Volkswagen and Audi. They are terrified of Tesla. Insurance companies will have massive trouble, because without accidents, the insurance will become 100 times cheaper. Their car insurance business model will disappear. Real estate values based on proximities to work-places, schools, etc. will change, because if you can work effectively from anywhere or be productive while you commute, people will move out of cities to live in a more rural surroundings. Solar energy production has been on an exponential curve for 30 years, but only now is having a big impact. Last year, more solar energy was installed worldwide than fossil. The price for solar will drop so much that almost all coal mining companies will be out of business by 2025. Water for all: With cheap electricity comes cheap and abundant water. Desalination now only needs 2kWh per cubic meter. We don’t have scarce water in most places; we only have scarce drinking water. Imagine what will be possible if everyone can have as much clean water as they want, for virtually no cost. Health: The Tricorder X price will be announced this year – a medical device (called the “Tricorder” from Star Trek) that works with your phone, which takes your retina scan, your blood sample and your breath. It then analyses 54 biomarkers that will identify nearly any diseases. It will be cheap, so in a few years, everyone on this planet will have access to world class, low cost, medicine. 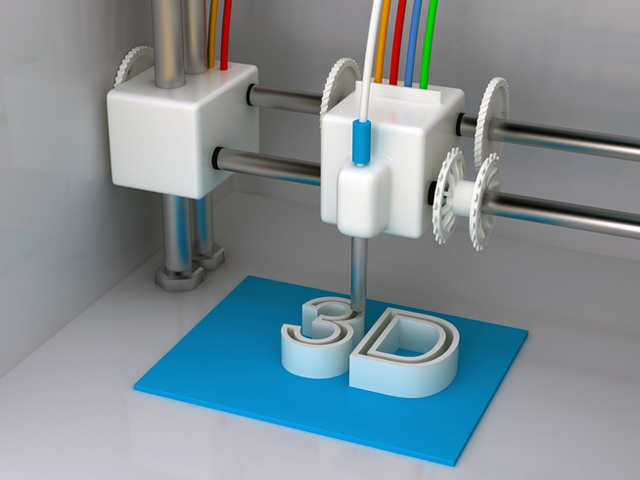 3D printing: The price of the cheapest 3D printer came down from 18,000$ to 400$ within 10 years. In the same time, it became 100 times faster. All major shoe companies started printing 3D shoes. Spare airplane parts are already 3D-printed in remote airports. The space station now has a printer that eliminates the need for the large amount of spare parts they used to need in the past. At the end of this year, new smart phones will have 3D scanning possibilities. You can then 3D scan your feet and print your perfect shoe at home. In China, they have already 3D-printed a complete 6-storey office building. By 2027, 10% of everything that’s being produced will be 3D-printed. Business opportunities: If you think of a niche you want to enter, ask yourself: “in the future, do you think we will have that?” And if the answer is yes, then work on how you can make that happen sooner. If it doesn’t work via your phone, forget the idea. And any idea that was designed for success in the 20th century is probably doomed to fail in the 21st century. Work: 70-80% of jobs will disappear in the next 20 years. There will be a lot of new jobs, but it is not clear that there will be enough new jobs in such a short time. Agriculture: There will be a 100$ agricultural robot in the future. Farmers in 3rd world countries can then become managers of their fields instead of working in them all day. Aeroponics will need much less water. The first veal produced in a petri dish is now available. It will be cheaper than cow- produced veal in 2018. Right now, 30% of all agricultural surfaces are used for rearing cattle. Imagine if we don’t need that space anymore. There are several start-ups which will bring insect protein to the market shortly. It contains more protein than meat. It will be labelled as “alternative protein source” (because most people still reject the idea of eating insects). Apps: There is already an app called “moodies” which can tell the mood you are in. By 2020 there will be apps that can tell by your facial expressions if you are lying. Imagine a political debate where we know whether the participants are telling the truth and when not! Currencies: Many currencies will be abandoned. Bitcoin will become mainstream this year and might even become the future default reserve currency. Longevity: Right now, the average life span increases by 3 months per year. Four years ago, the life span was 79 years, now it is 80 years. The increase itself is increasing and by 2036, there will be more than a one-year increase per year. So we all might live for a long, long time, probably way beyond 100. Education: The cheapest smartphones already sell at 10$ in Africa and Asia. By 2020, 70% of all humans will own a smartphone. That means everyone will have much the same access to world class education. Every child can use Khan Academy for everything he needs to learn at schools in First World countries. Further afield, the software has been launched in Indonesia and will be released it in Arabic, Swahili and Chinese this summer. The English app will be offered free, so that children in Africa can become fluent in English within half a year.